Acronym for National Aeronautics & Space Administration. NASA was founded during 1958 in the USA. 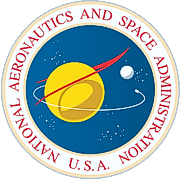 It replaced the NACA and amalgamated the remaining aerospace organizations into a single government agency. The ensuing "space race" between the United States and the USSR propelled NASA to the forefront of space exploration, culminating on July 20, 1969 with the landing of Apollo 11 on the Moon. The Office of Aero-Space Technology. The Office of Earth Science. The Office of Space Flight. The Office of Space Science. The John F. Kennedy Space Center in Merritt Island, Florida. The Lyndon B. Johnson Space Center in Houston, Texas. The Goddard Space Flight Center in Greenbelt, Maryland. The George C. Marshall Space Flight Center in Huntsville, Alabama. Many ufologists believe that NASA knows much more about UFOs than it discloses to the general public. Apollo astronaut Edgar Mitchell, who spent much of his youth in the vicinity of Rosswell New Mexico, is among those who believe that Earth has been, and probably still is being visited by aliens.